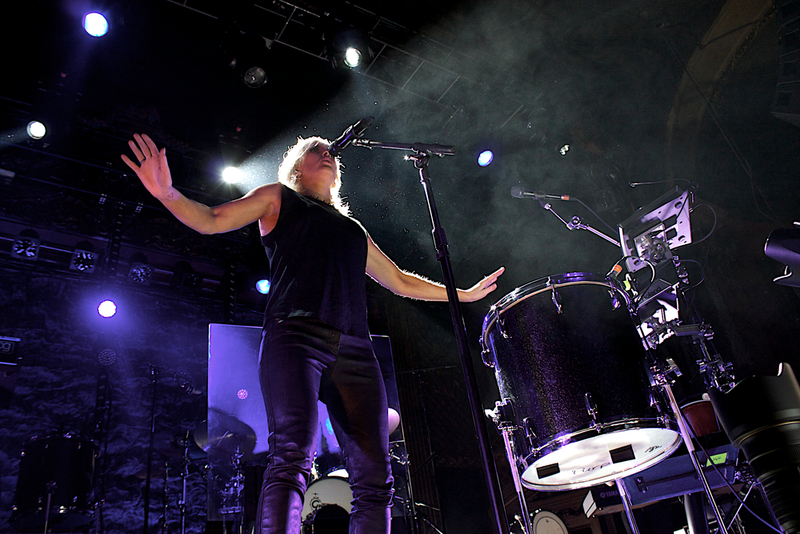 We had a chance to check out Ellie Goulding last Friday night as her Halycon Tour made a stop in the Mile High City. Ellie has become quite of a household name nowadays whether it's her dance-friendly music or tabloid relationship with former beau Skrillex. Friday night UK sensation reached into her catalog from her two albums two rile the crowd, but more on newer material from Halycon. She included crowd favorites, "Dont Say A Word," "Guns & Horses," and "Lights," which she saved for last. Her fame and following continues to grow with every hit she puts out. The night began with New Yorkers St. Lucia who opened up without a rather impressive set; the electro pop band from Brooklyn is currently signed to Neon Gold and will be releasing a full length album later this year. Check out more photos here.